When you read a legal document, such as an agreement or an official document, you usually feel somewhat lost due to the language used in it. This fact sharpens even more with texts stemming from a foreign country, as not only the language reads strange, but also the context. In the translation of agreements and official documents, as well as other legal documents, not only the text is important, which it actually is, but also the legal system within which both the original text and the translation of same are embedded. When speaking about legal systems, we are referring to the set of current rules regulating life and the institutions of a specific country at any moment in time. In law, there are two large, clearly differentiated families, that is, Roman Law (in force in countries such as Spain, Italy or France, among others) and Common Law (belonging to countries such as the United Kingdom or the United States of America). The main existing difference between both is that, while Roman Law is based on laws, Common Law is based on tradition and customs. If this does not make things clearer, I will give you a better example: Who has not seen any American movie, where lawyers cite former cases and rulings instead of law acts, as would actually be the case in our country? Apart from this essential difference, there are other elements that may pose problems when carrying out legal translations: We are talking about country-specific legal figures and bodies. Each country relies on its own legal procedure system, so much so that often the courts of two countries are not comparable. 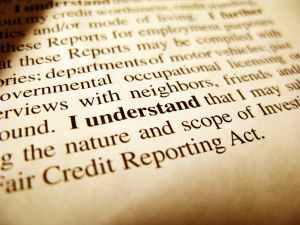 For all the above reasons, it is of crucial importance that the person doing the translation of official documents and agreements, among others, not only masters the languages, but also boasts broad expertise in the legal realities involved for the result to be fully satisfactory and so that no sort of conflict derives from it. This last point is utterly important owing to the subject area dealt with. You may think that this does not affect your company, but you will see that it actually does as soon as you decide to expand and start a relationship with foreign companies and you have to sign binding agreements. Then, you will remember this and consult an expert in that matter, such as we are, who will guarantee you that each and every detail, up to the tiniest, has been scrutinised. Thus, you may have peace of mind and focus your efforts on other aspects of the international expansion plan of your company. Xoana Álvarez, translator and proofreader/reviewer at Planet Lingua.